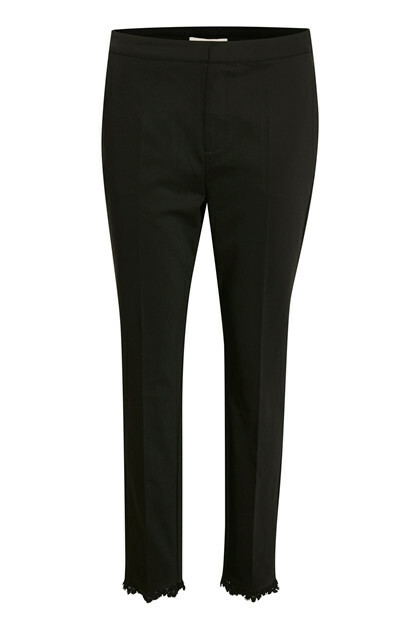 Nice and stylish pants with a feminine touch. 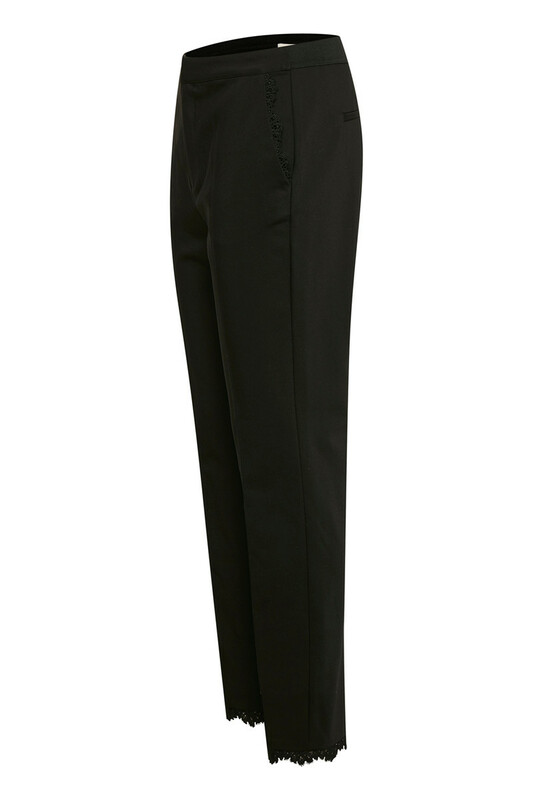 Definitely pants, with a classic look and a safe choice for both parties and everyday use. 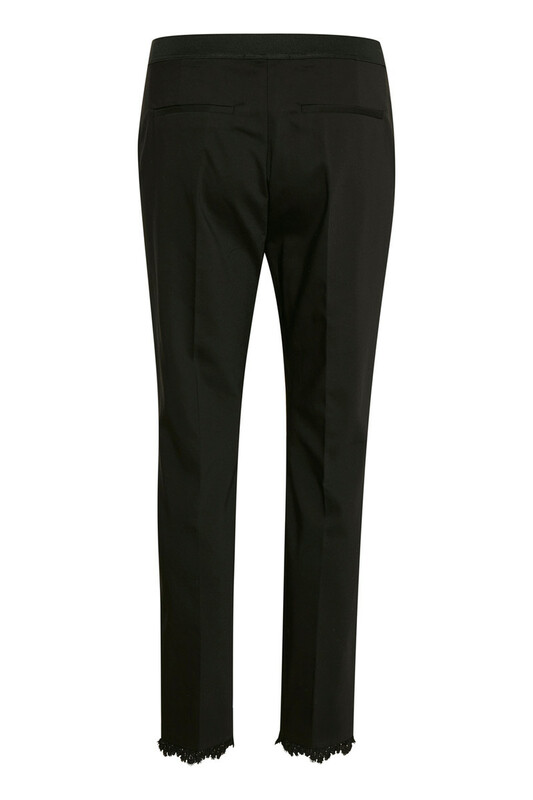 The pants have belt loops, side pockets, elastic waistband, button and zip fastener and pockets on the back. 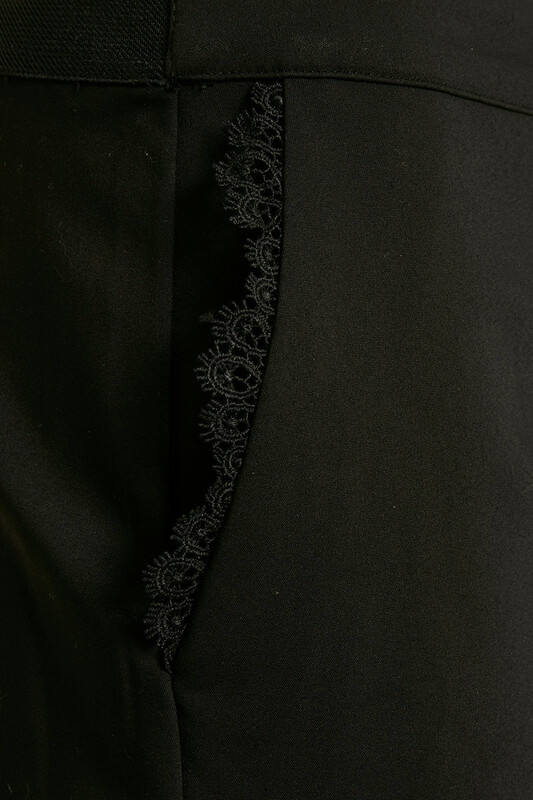 The feminine touch is reflected in the pants' lace elements at the pockets and bottom, creating a stylish look. The pants can be stylish with a blazer for a more business-like look or with a white T-shirt for a more casual look.